Lunch hour is especially fun this week. At least downtown and in the Garland District. It's Spokane Street Music Week! Street performers are out doing their things to combat hunger from noon to 1 pm for the 11th year. This is the first year that the Garland District is included. Enough artists to man nearly every street corner are signed up to perform this week, including Mayor David Condon, City Council President Ben Stuckart, KREM-2 news anchor Randy Shaw and former Rare Earth rockstar Peter Rivera. All the collections from street performers' red buckets are going to 2nd Harvest Inland Northwest food bank. 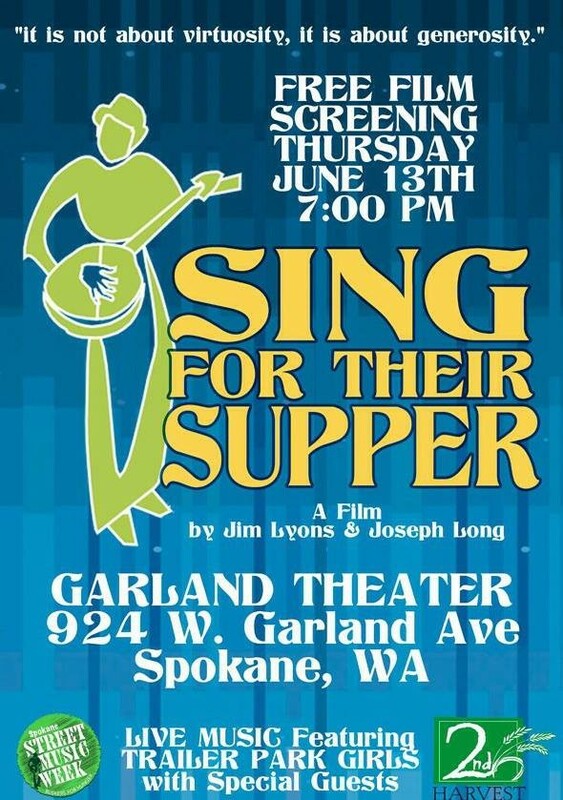 Because of the success of the event and the support of the community, a free screening of the half-hour documentary about the annual event, "Sing For Their Suppers," will be shown 7 pm Thursday at the Garland Theater. It's also street music sister-city Appleton's inaugural year for Street Music Week, whose proceeds go to Feeding America Eastern Wisconsin. Spokane Street Music Week started in 2002 by the Spokesman-Review's Doug Clark for his column. After he single-handedly made enough money to buy 3,000 pounds of food for the food bank, his editors encouraged him to do it again in 2003 and invite other street performers to participate. And now here we are, more than a decade later and the Spokane Street Music Week has raised over $40,000 for the hungry. So go wander around downtown or the Garland District with your sandwich or leftovers, and don't forget to bring some quarters.